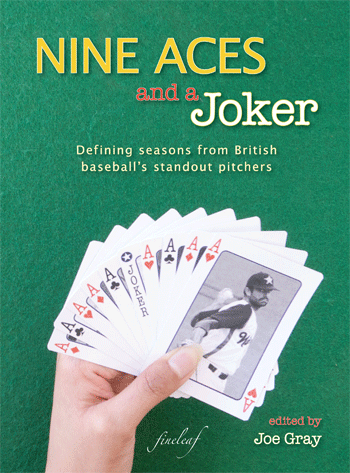 Two sample chapters have just been released for Nine Aces and a Joker: Defining seasons from British baseball’s standout pitchers. The first is Wally O’Neil’s story, focusing on his incredible season in 1965 with the Stretford Saints, where he met George Best on the baseball field, led his club team into European competition, and faced off against the might Dutch for Great Britain at Crystal Palace. The second features Cody Cain in 1993, at the beginning of his incredible domestic career, where he was in a season-long battle to preserve a 0.00 earned-run average, and where he got to pitch against a childhood hero who he’d watched playing pro baseball growing up in the States. As a reminder, the full book is available both in print and as a Kindle eBook.